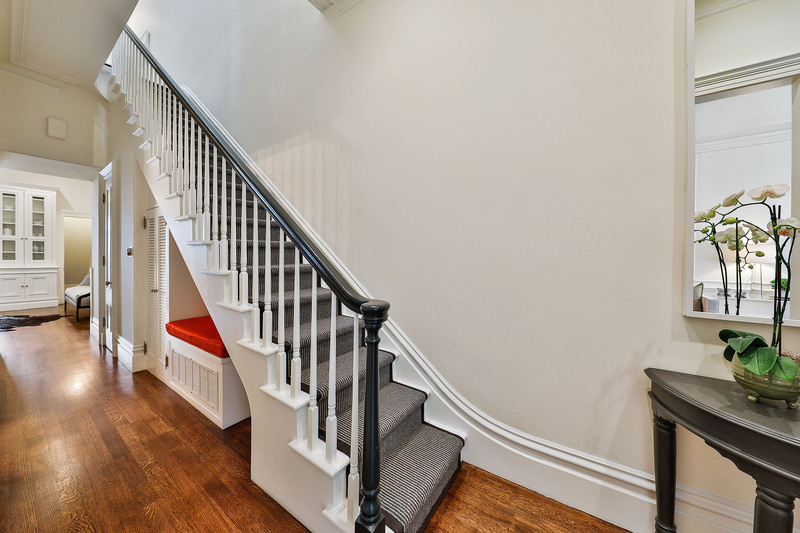 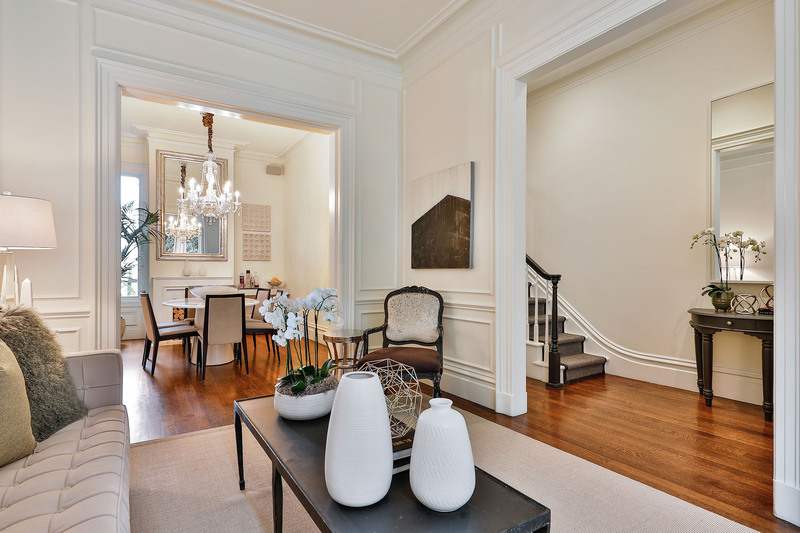 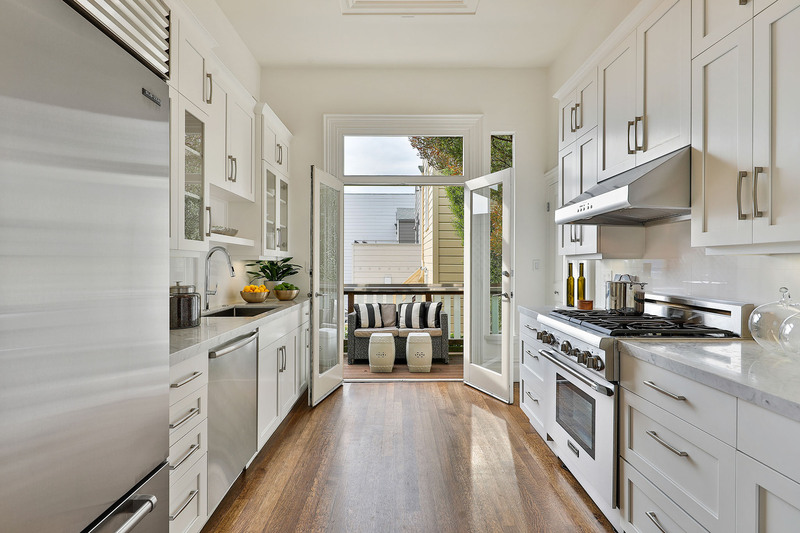 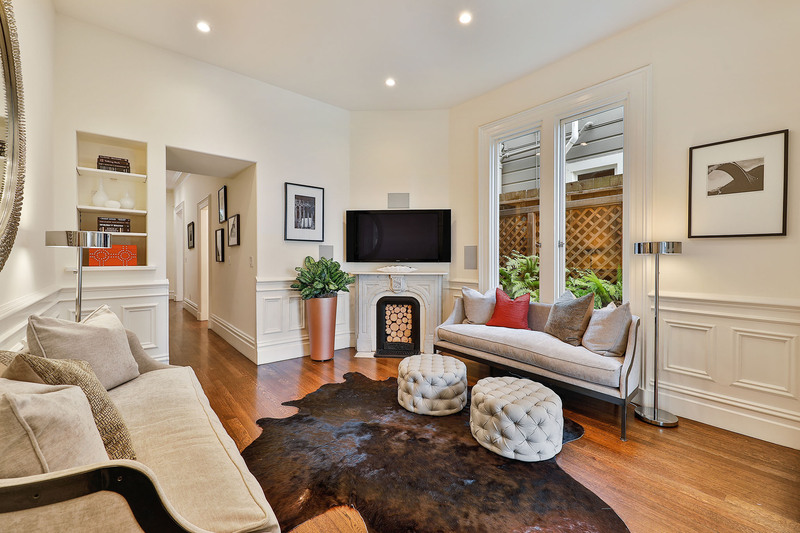 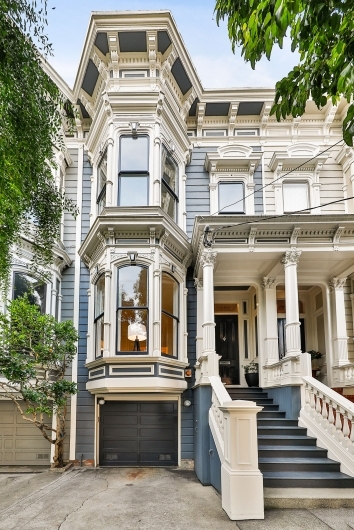 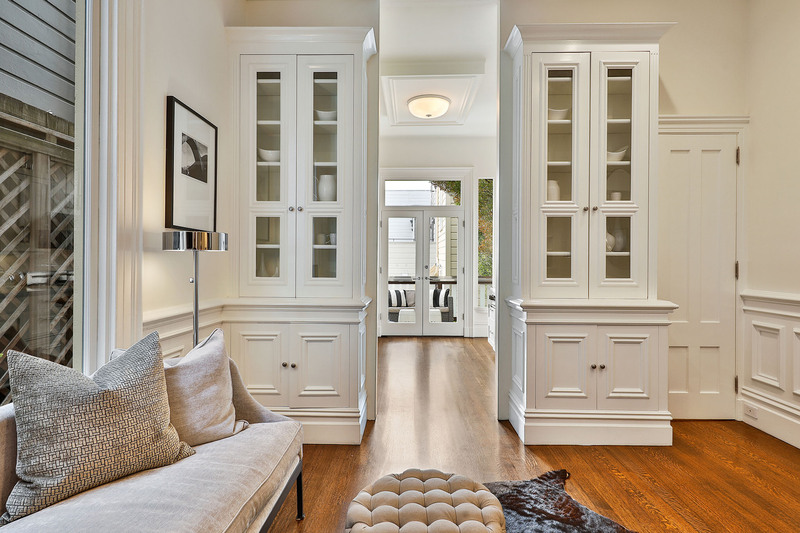 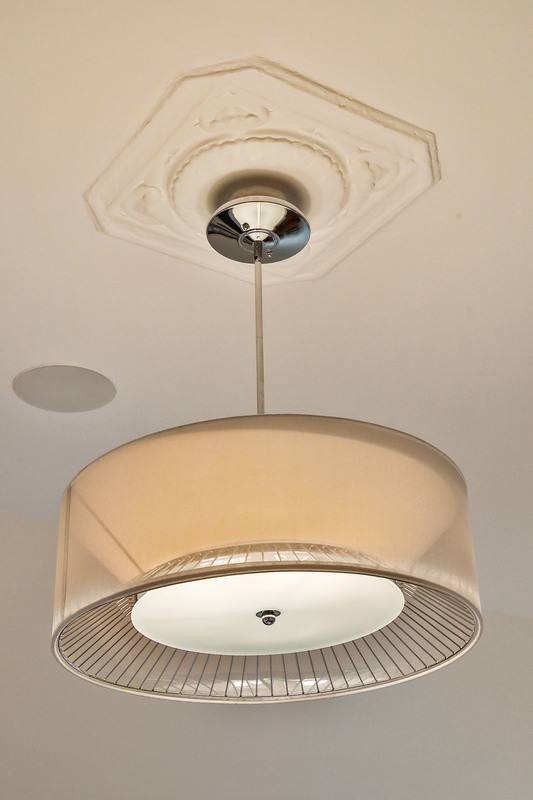 This elegant and beautifully remodeled Victorian home is one in a row of five built in 1886. 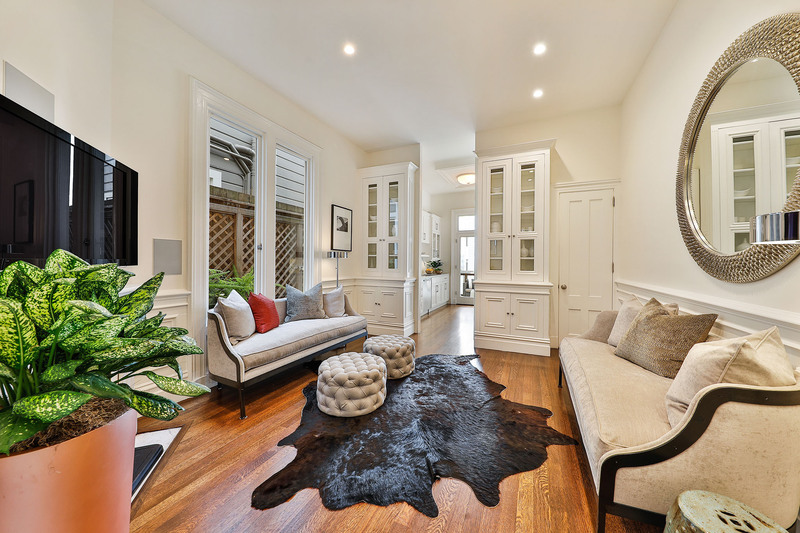 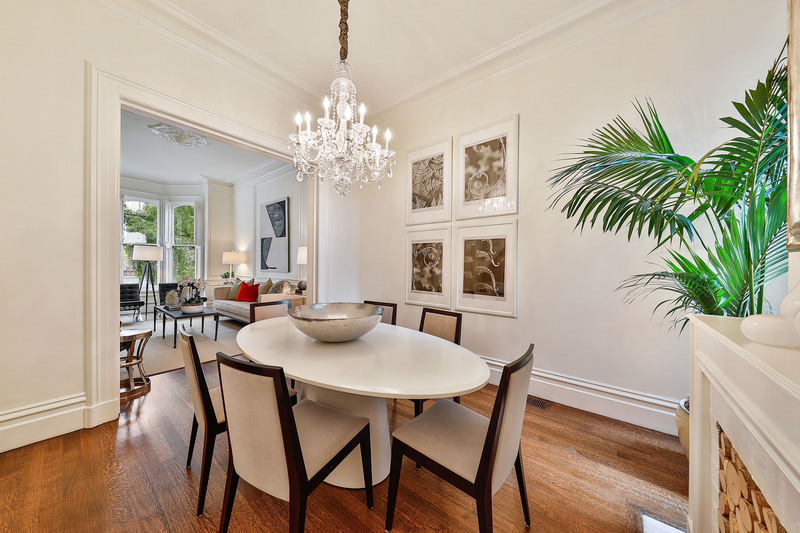 * Soaring ceilings, pretty bay windows, hardwood floors and period details honor the past while the luxuriously remodeled kitchen and baths propel this exceptional home into the 21st century. 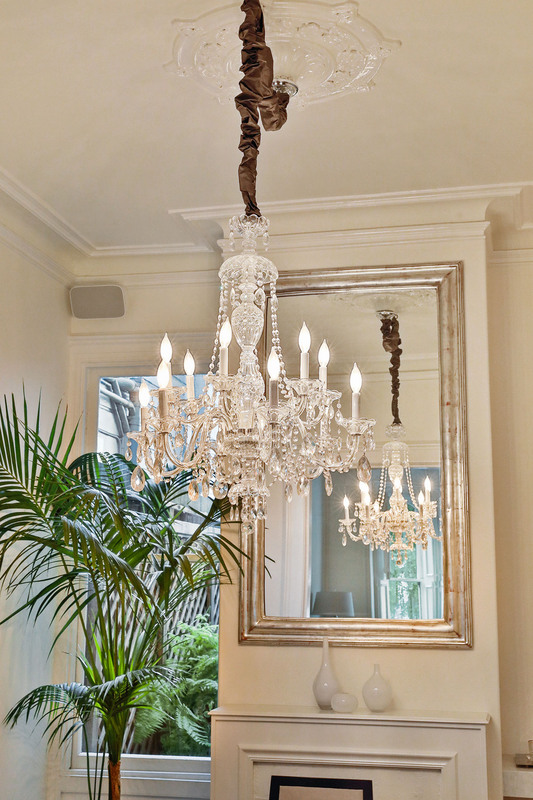 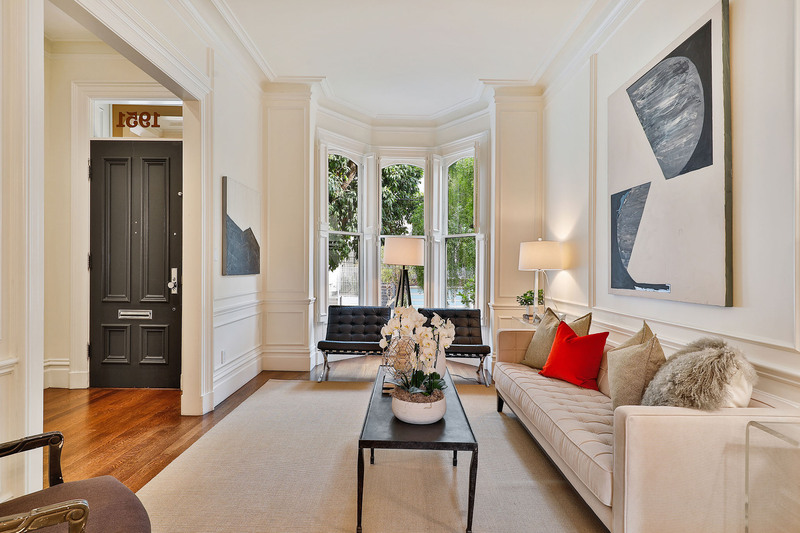 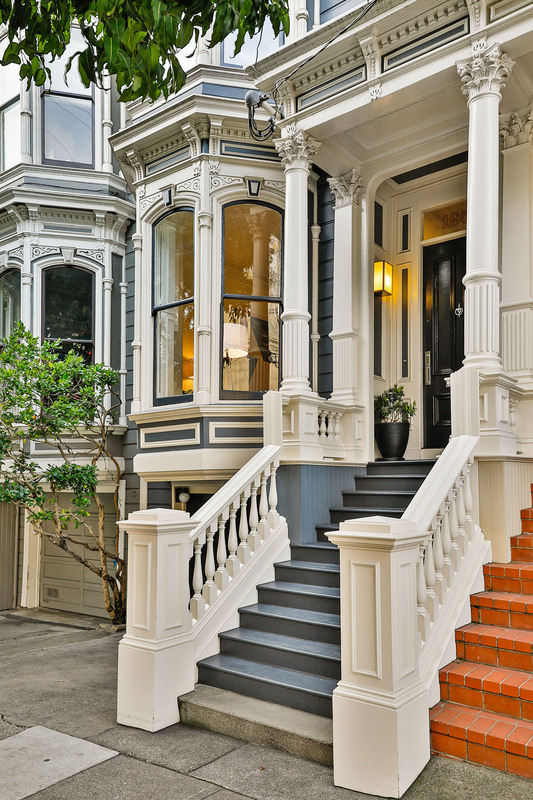 The home exudes Victorian charm beginning with the Italianate façade and handsome front door. 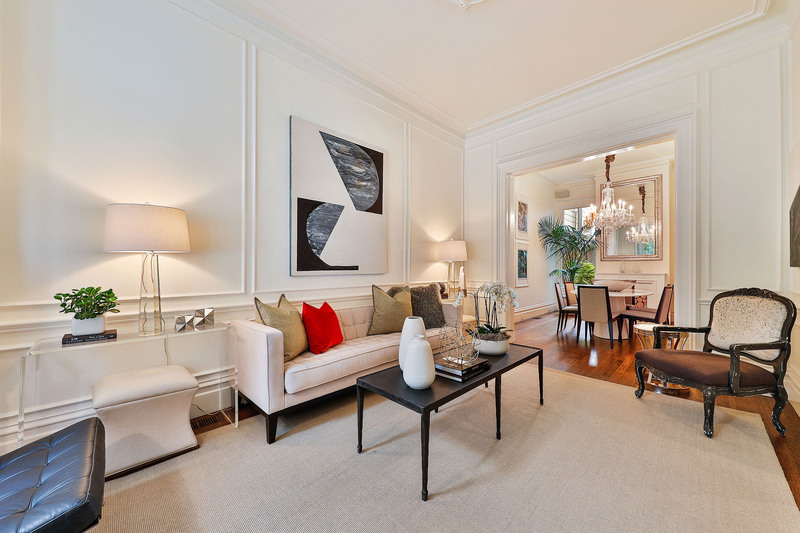 The double parlor comprises the living and dining rooms and is appointed with a stunning bay window, crown and panel moldings, ceiling medallions and a lovely, decorative fireplace. 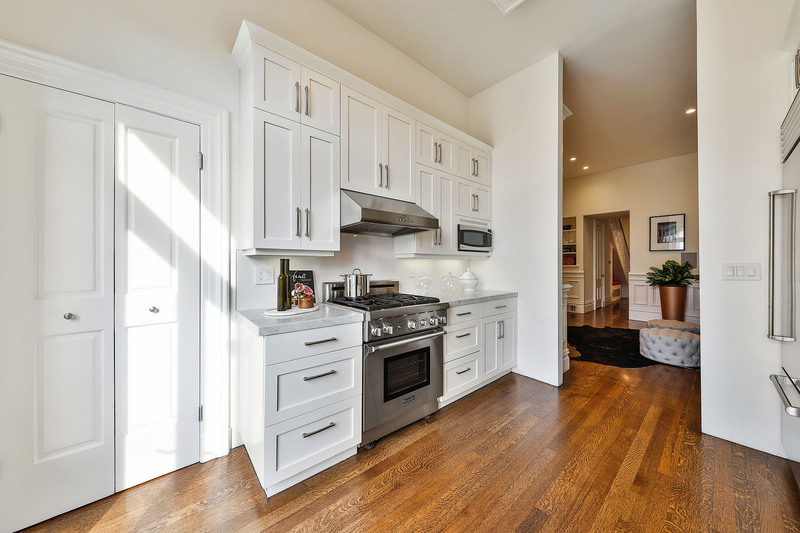 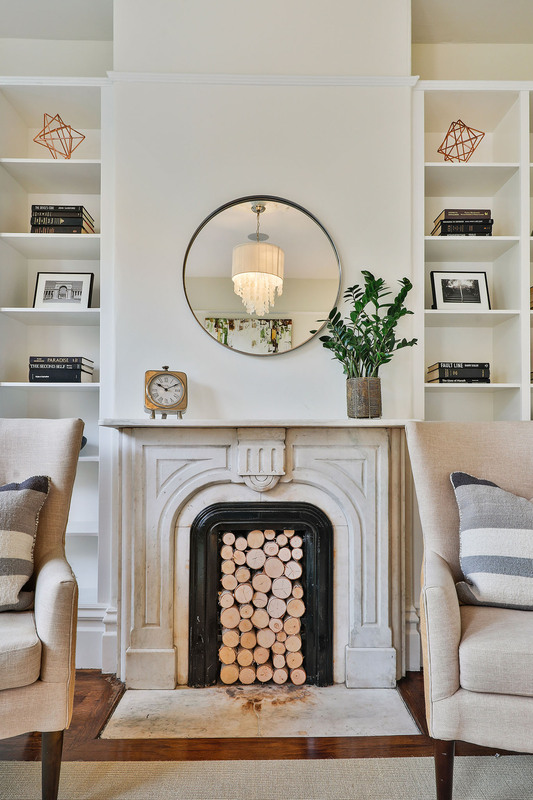 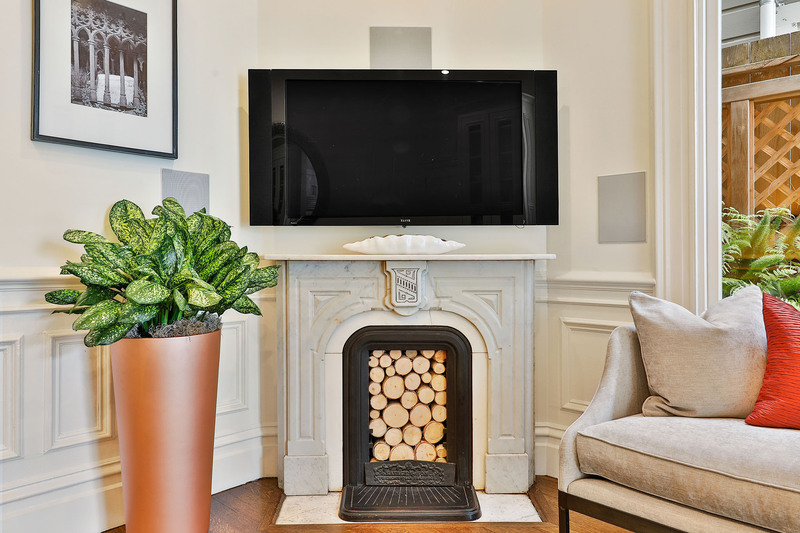 The family room, with its own period fireplace, built-in cabinetry and speakers, lies adjacent to the sunny kitchen that has been thoughtfully remodeled. 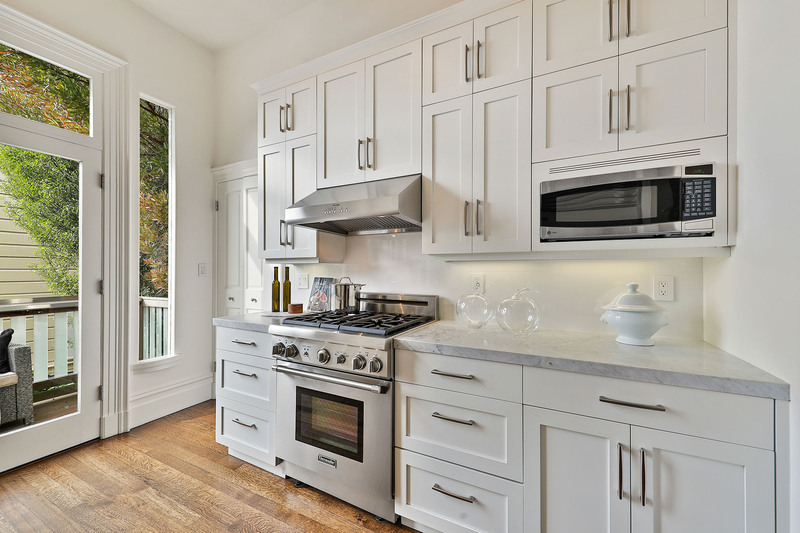 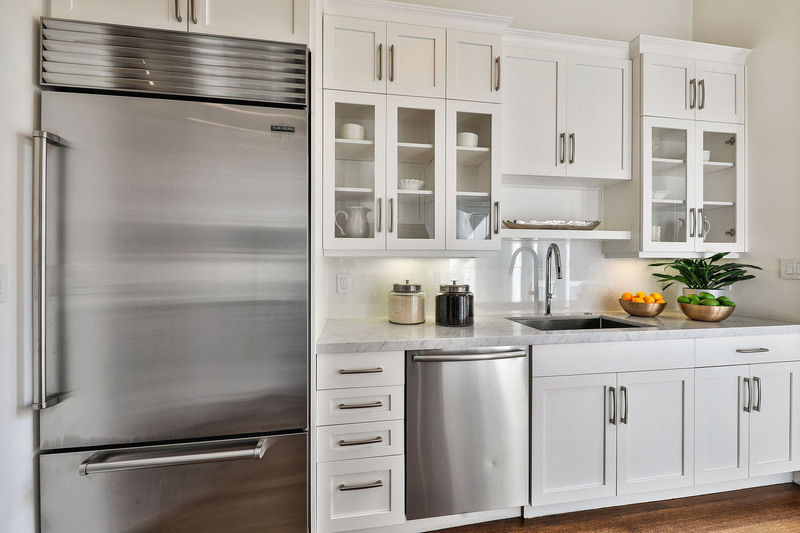 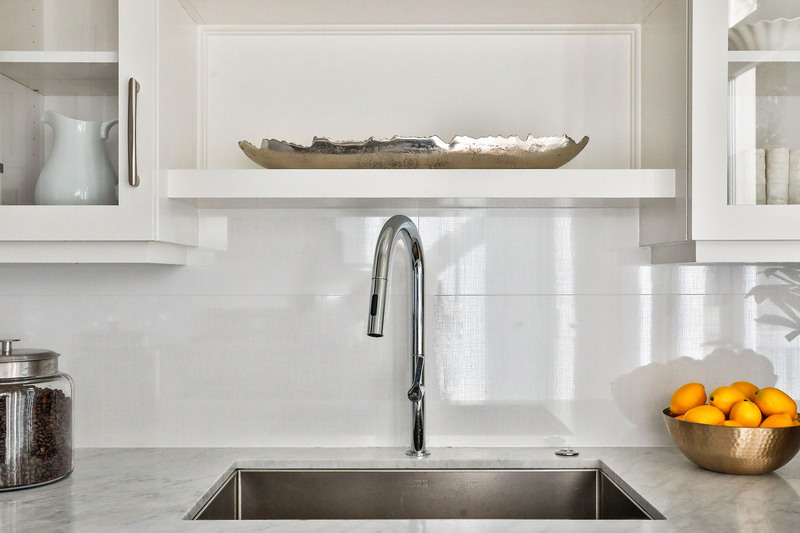 Carrara marble countertops and crisp, white cabinetry honor the history of the house, while the contemporary hardware and high-end appliances (Sub-Zero refrigerator and Thermador range) reflect today’s style. 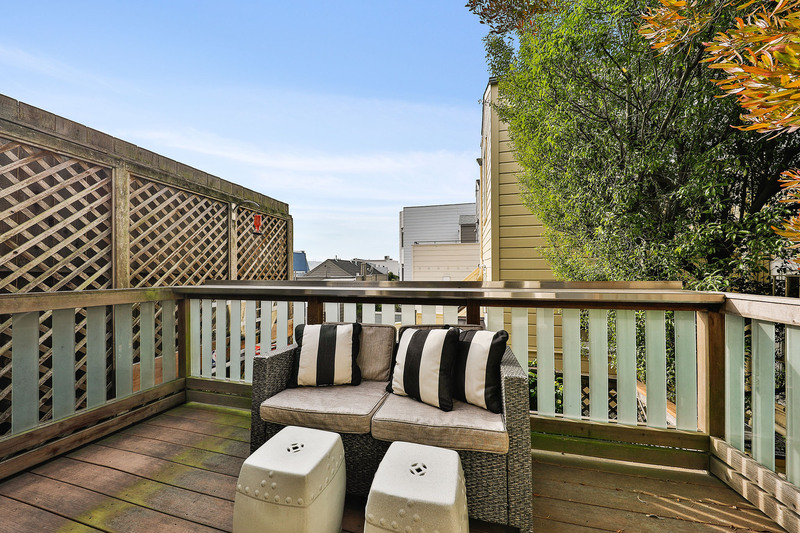 French doors open onto a deck that is perfect for dining al fresco. 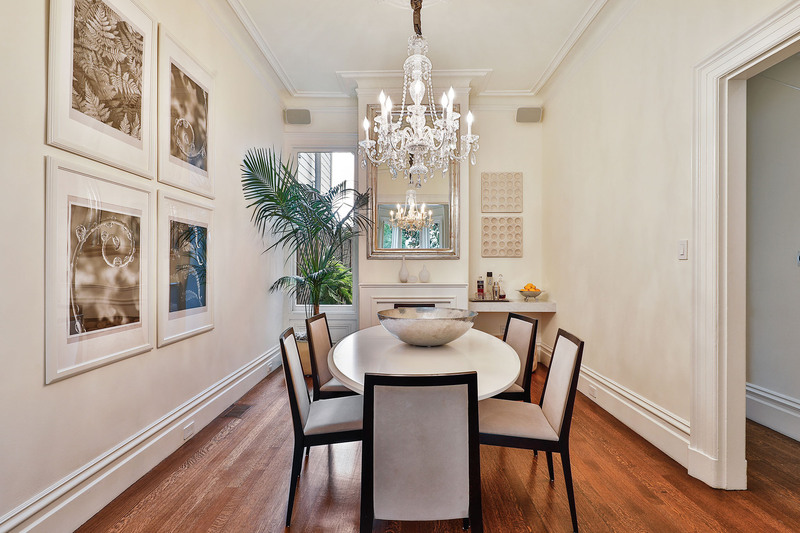 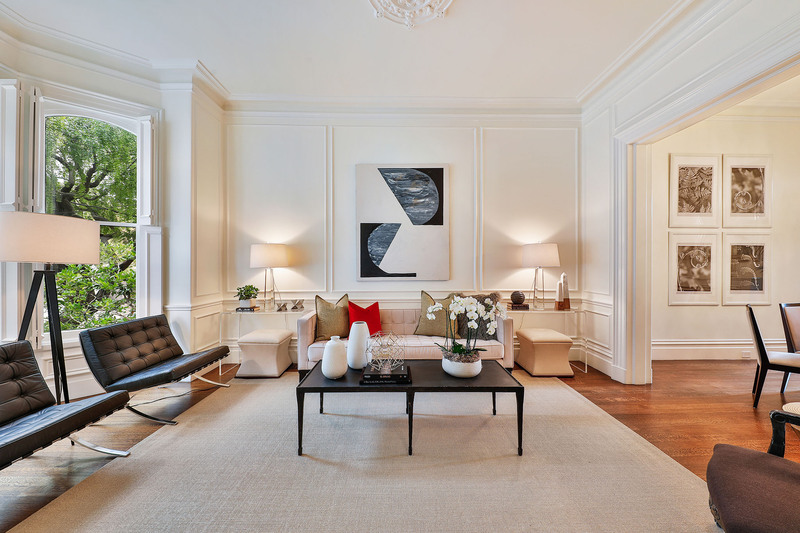 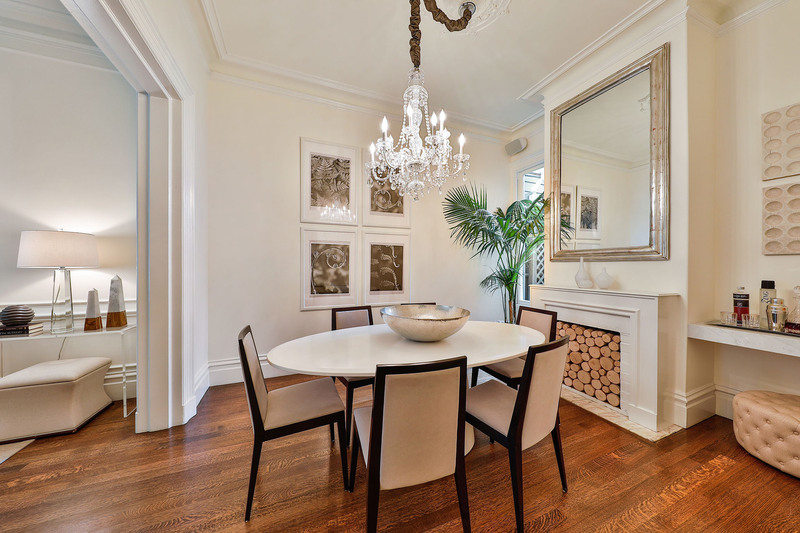 These gracious public rooms provide generous and light-filled spaces for daily living and entertaining. 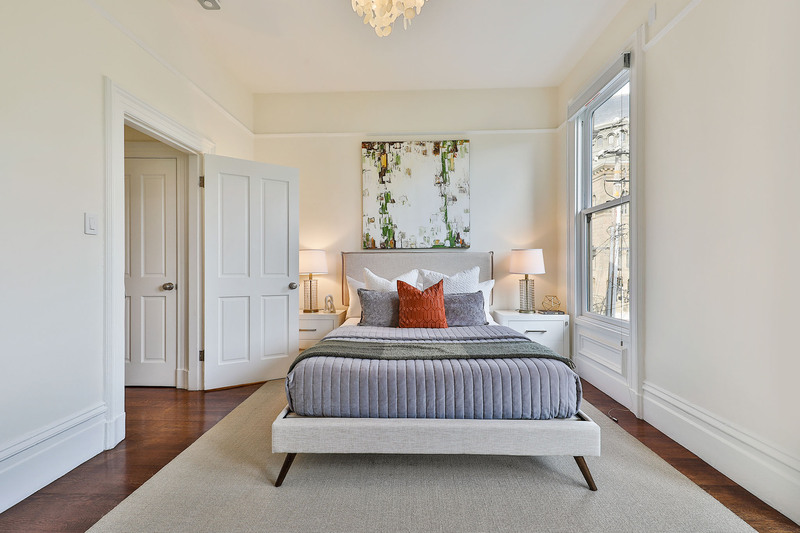 Awash in natural light, the serene master suite is situated in the rear of the house and has four tall windows that look to southwestern views of compelling sunsets punctuated by church spires and hills. 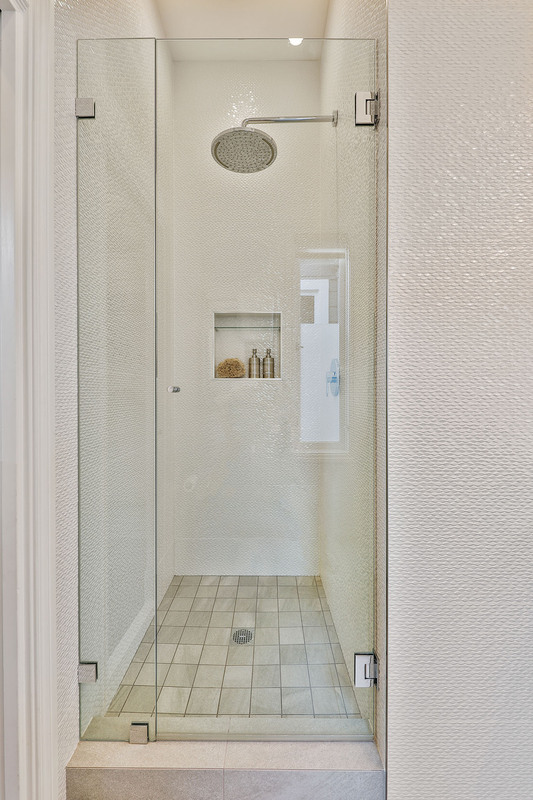 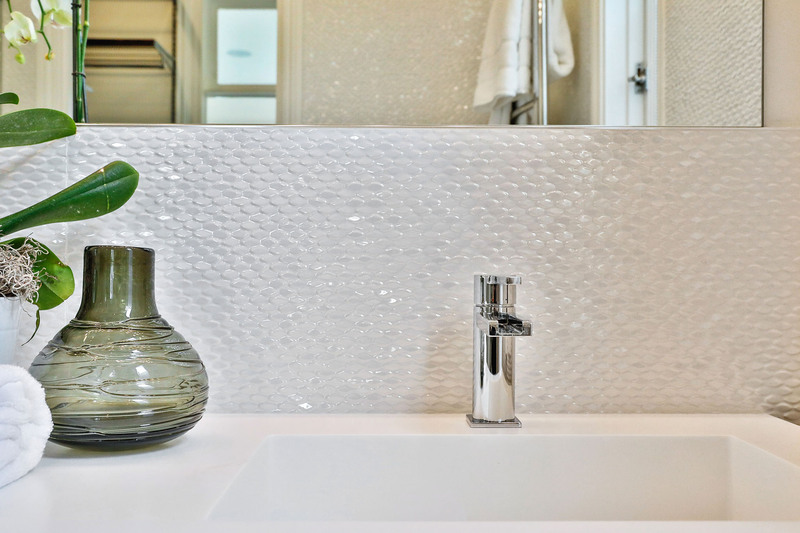 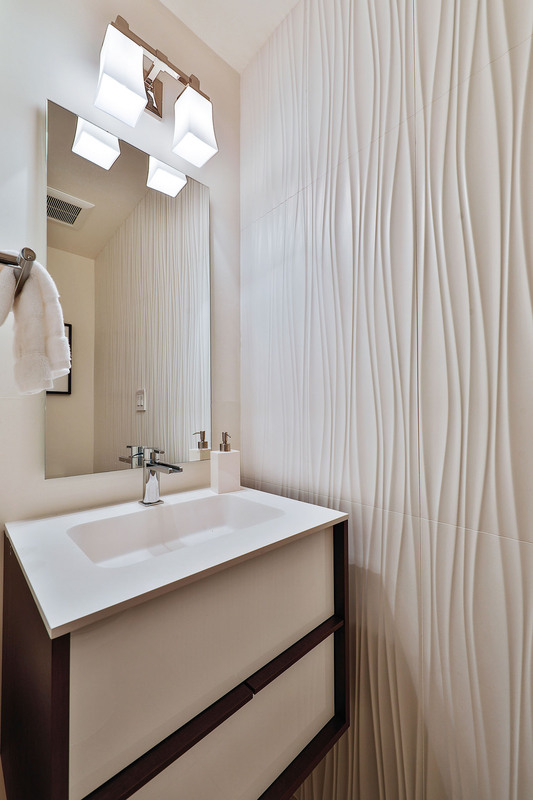 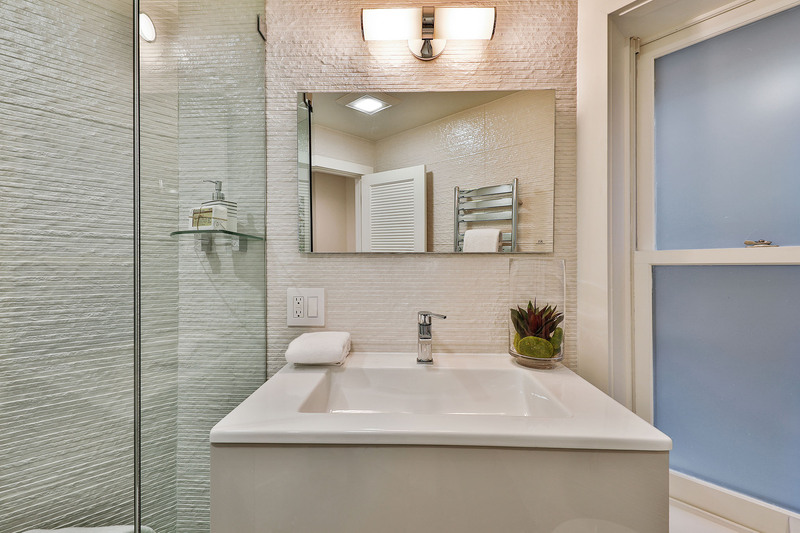 The luxuriously remodeled en suite bath features elegant tile and sophisticated fittings by Porcelanosa. 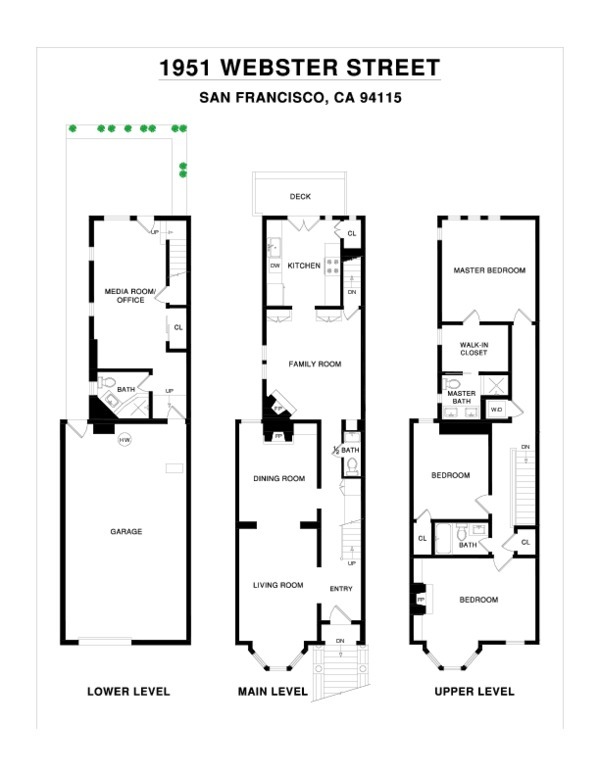 Two additional bedrooms are conveniently located on this same level. 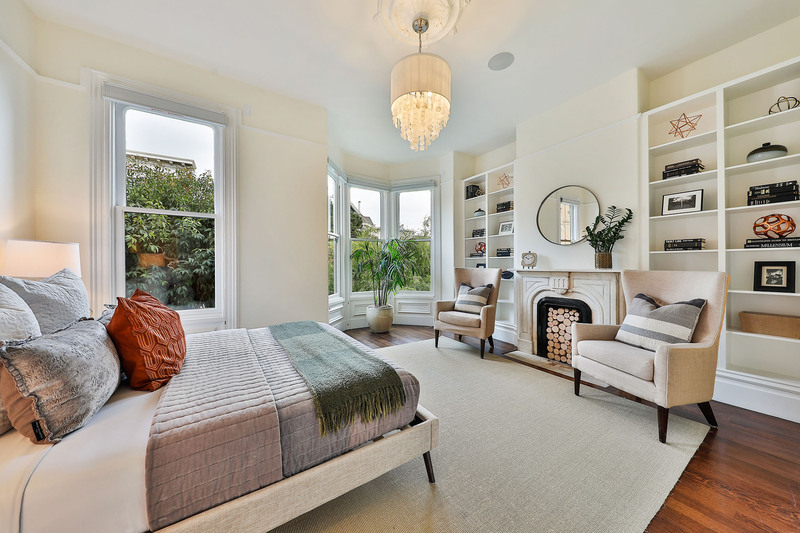 The expansive front bedroom features a striking bay window, built-in shelving and its own charming fireplace. 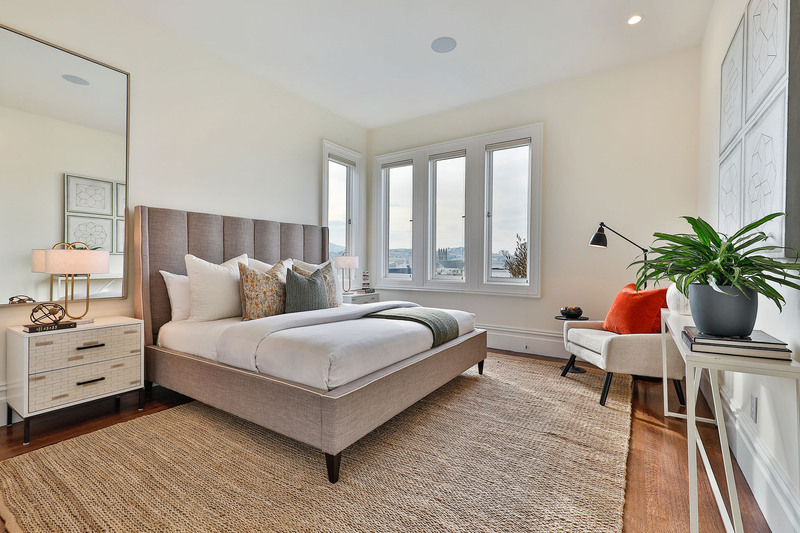 The third bedroom is also generously proportioned. 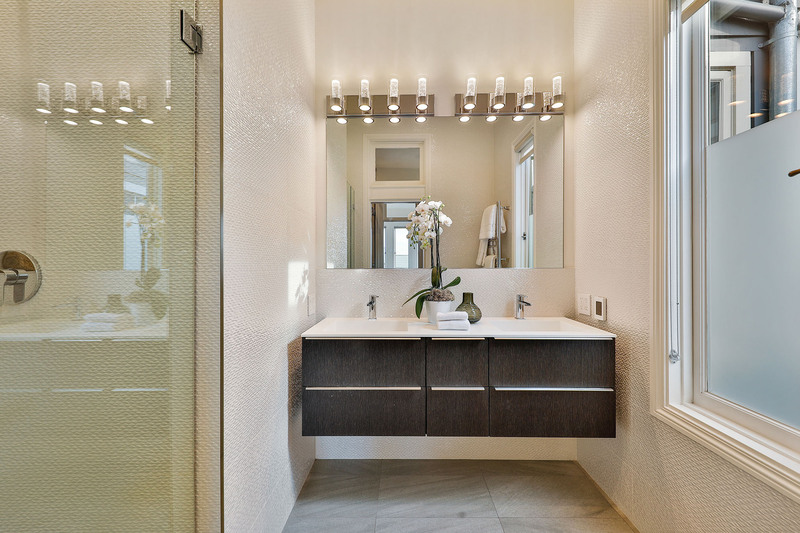 The remodeled hall bath successfully blends style and function with exquisite Porcelanosa tile and fittings. 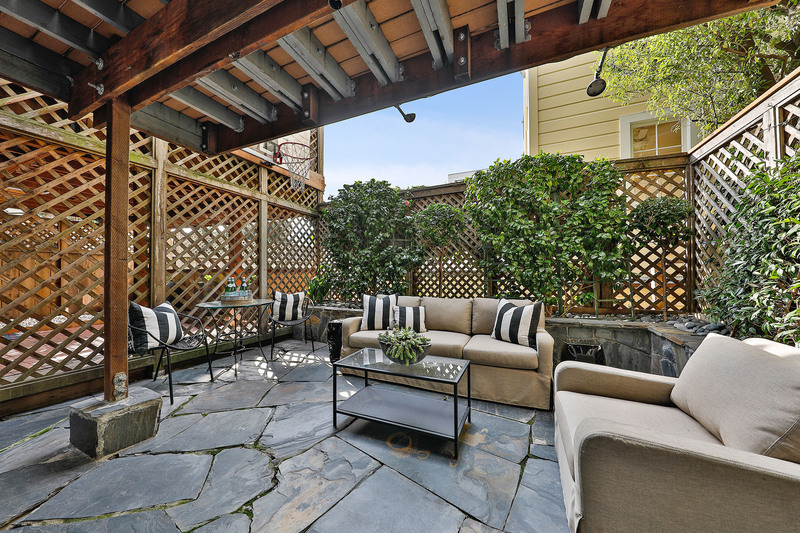 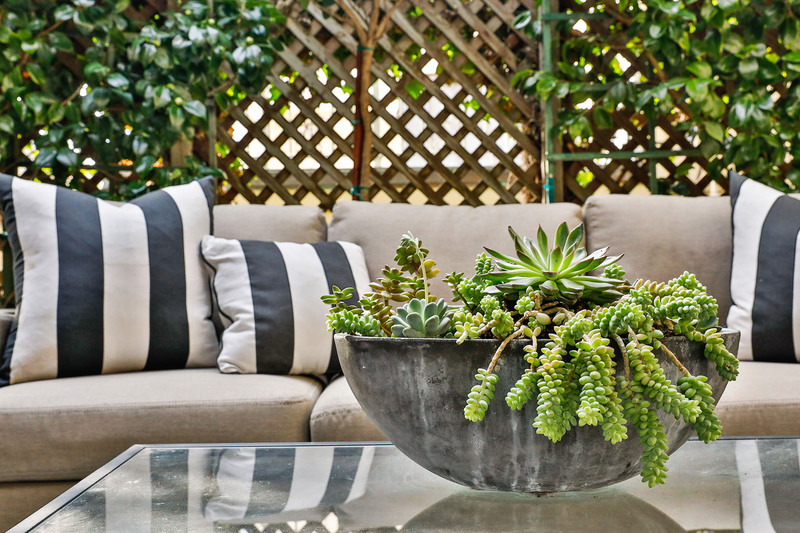 The garden level is home to an expansive room that opens onto the garden patio. 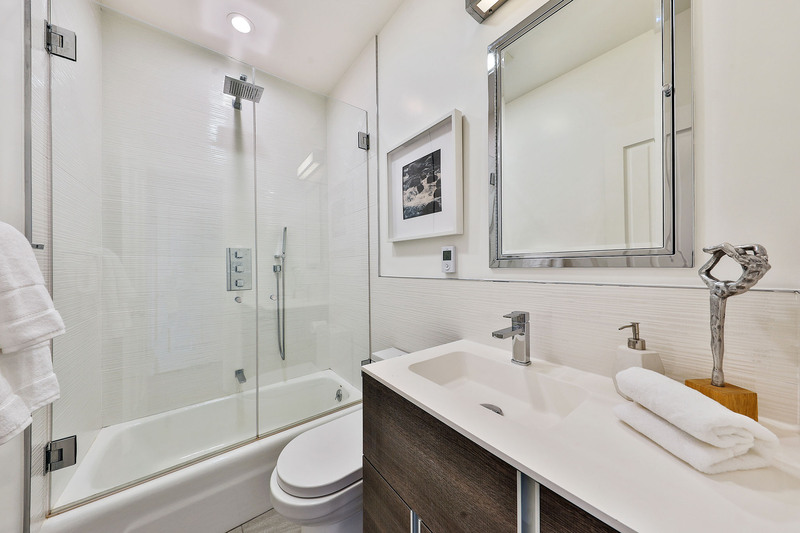 Another full bath, also remodeled with Porcelanosa tile and fittings, is situated here. 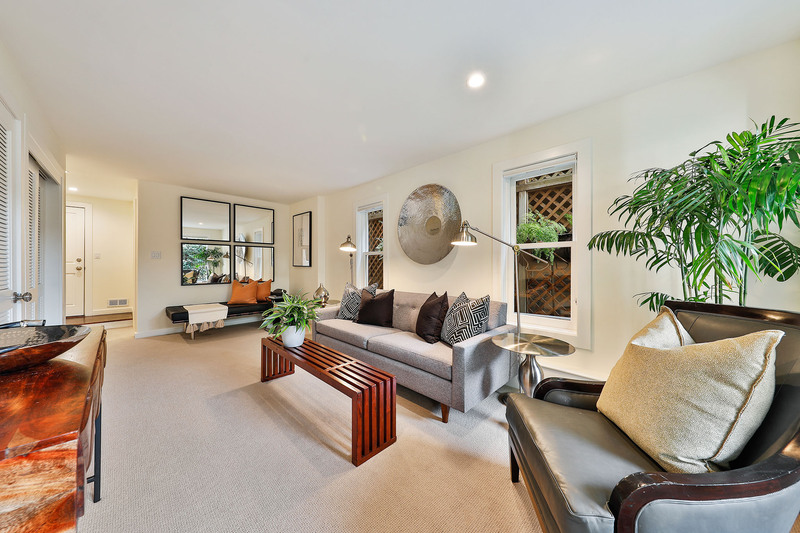 The garage offers parking for one car, ample storage and internal access, making this a wonderful place to call home. 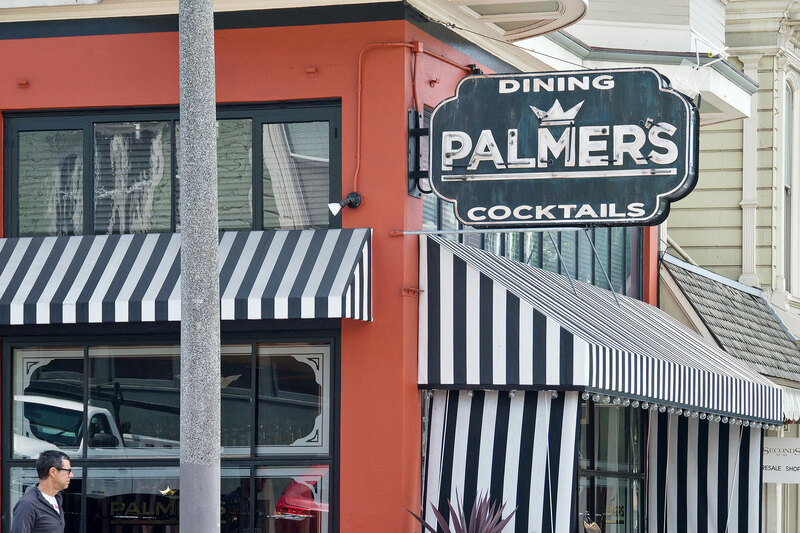 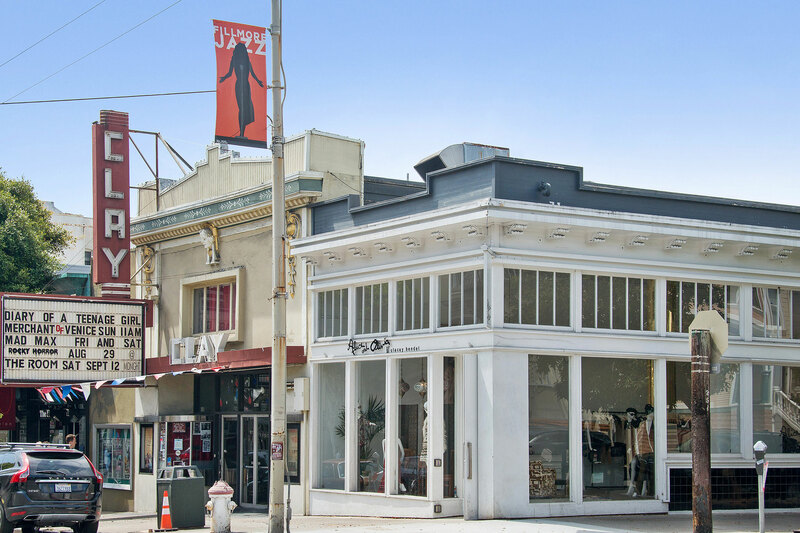 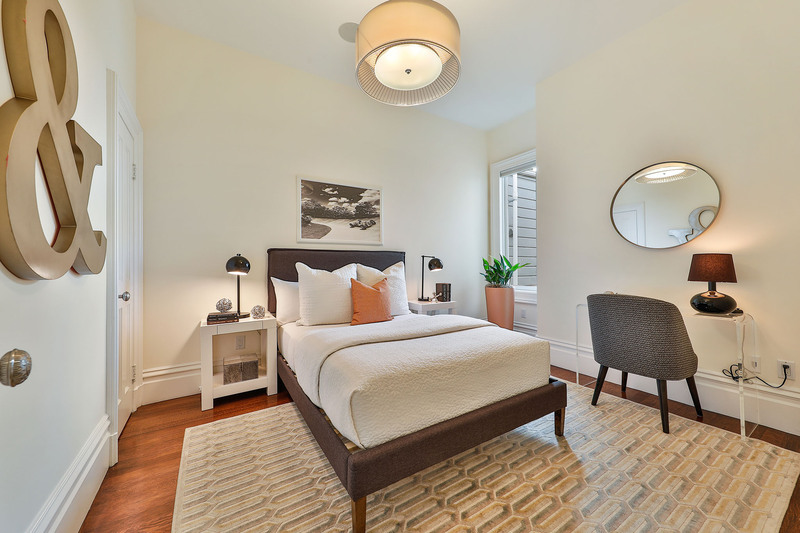 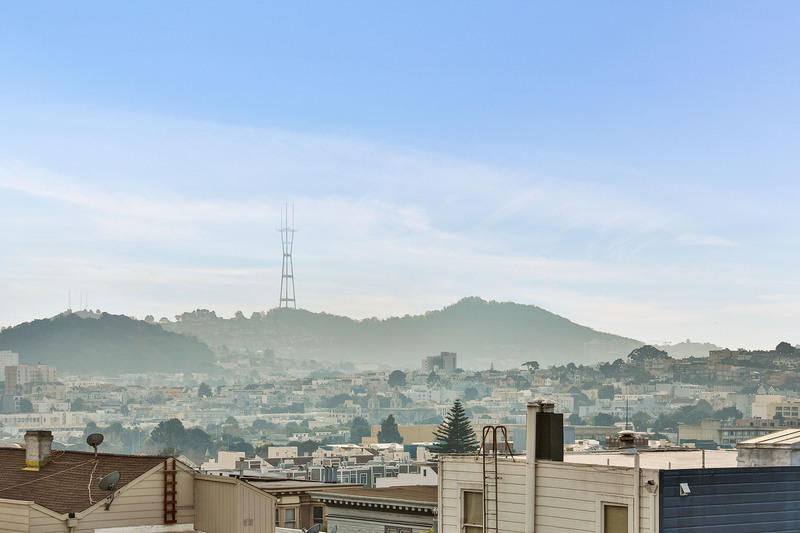 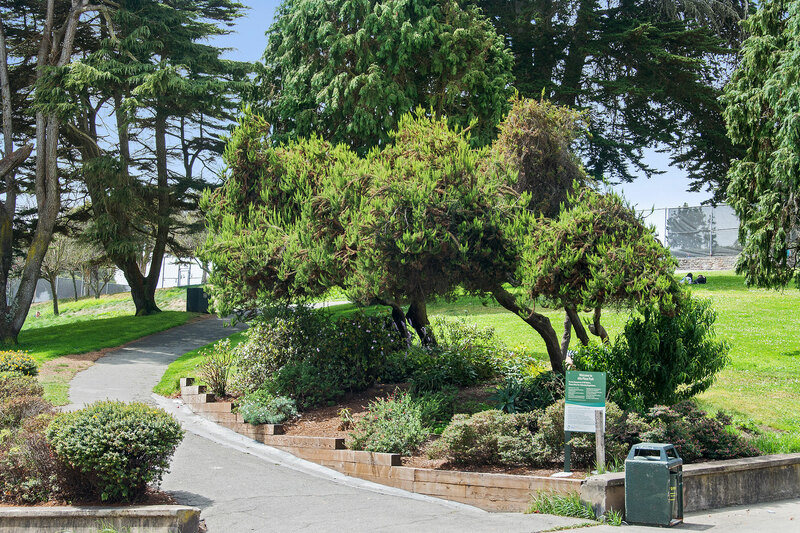 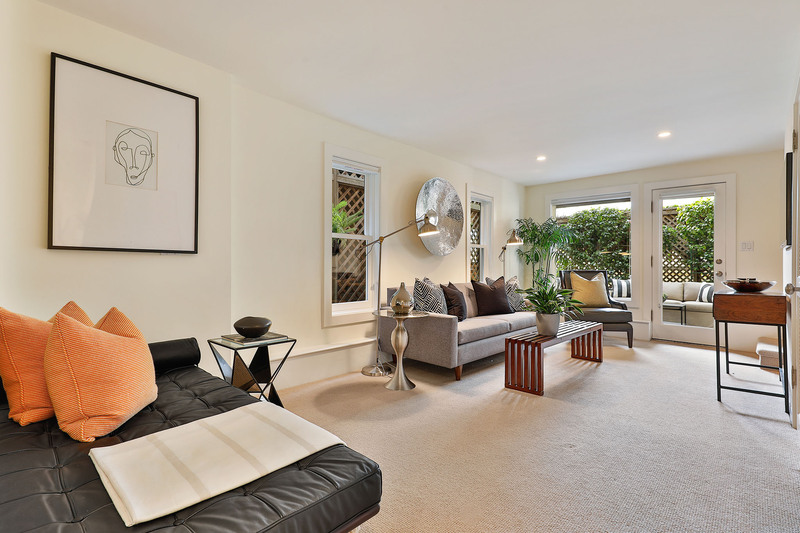 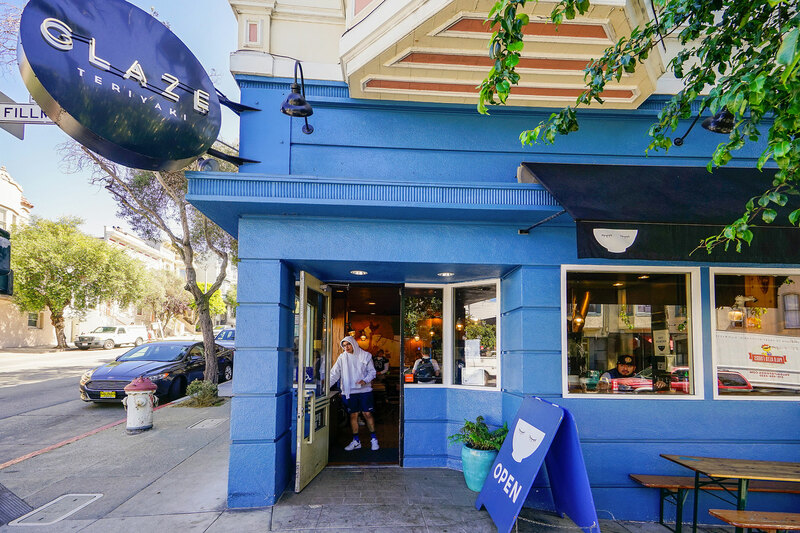 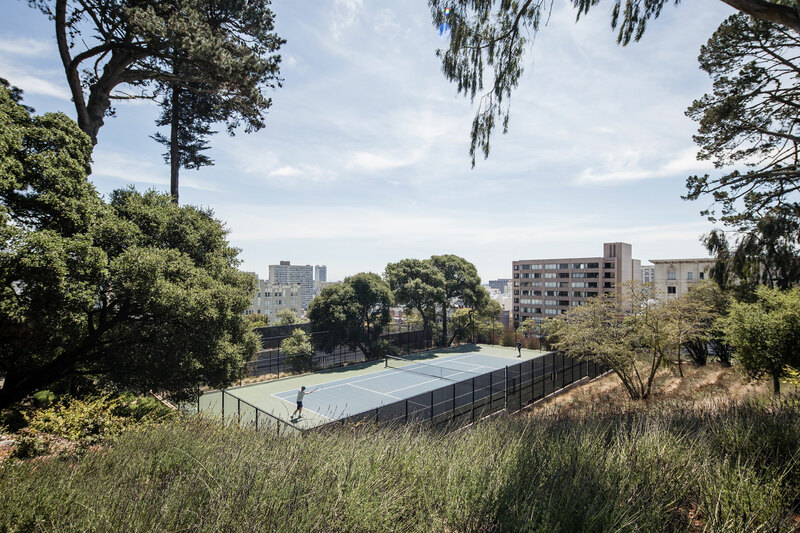 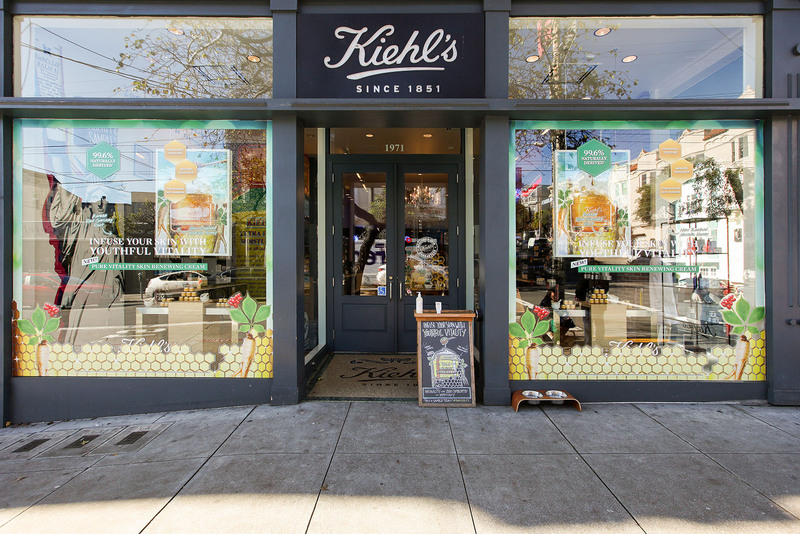 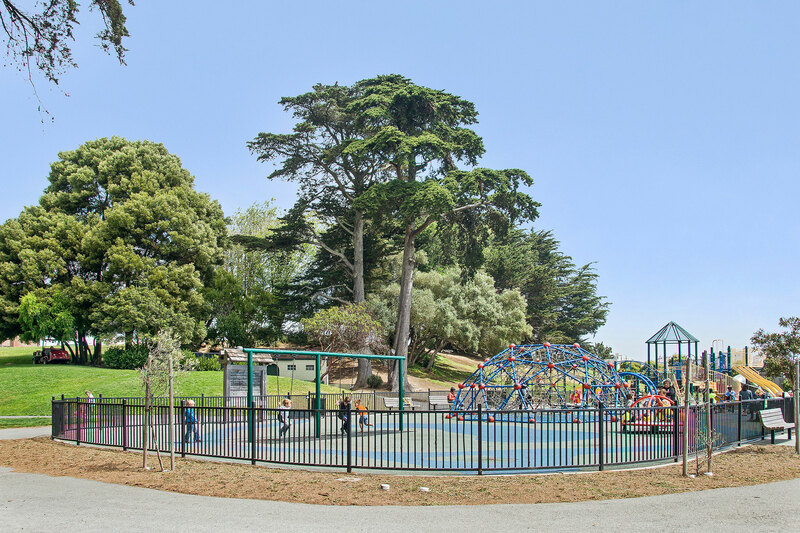 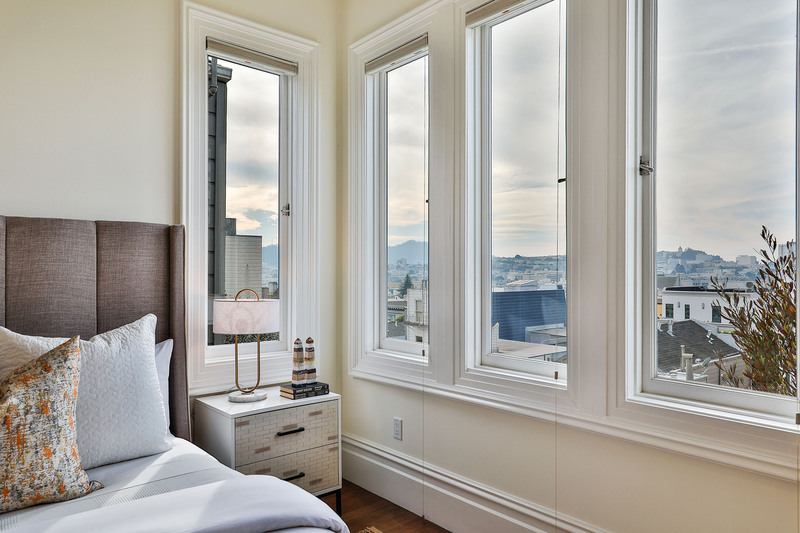 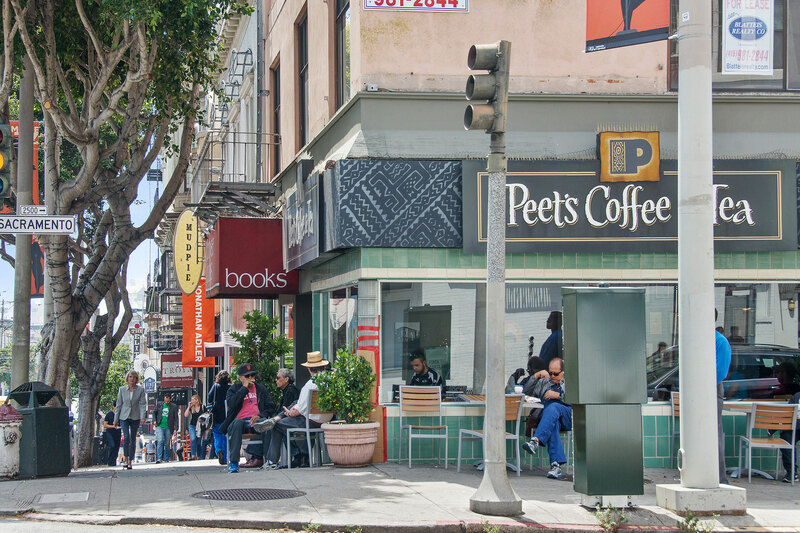 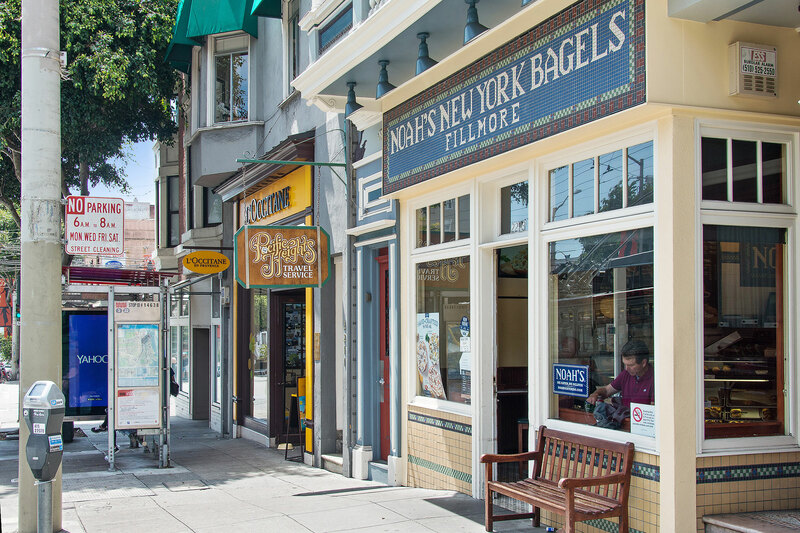 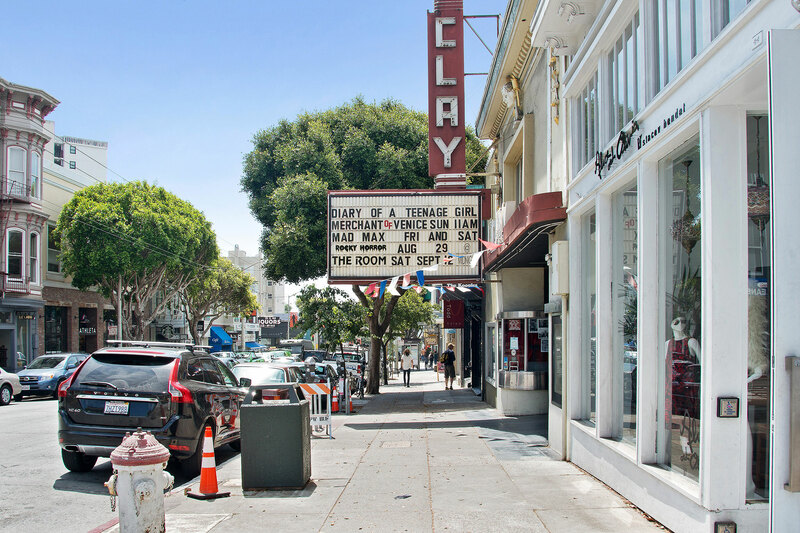 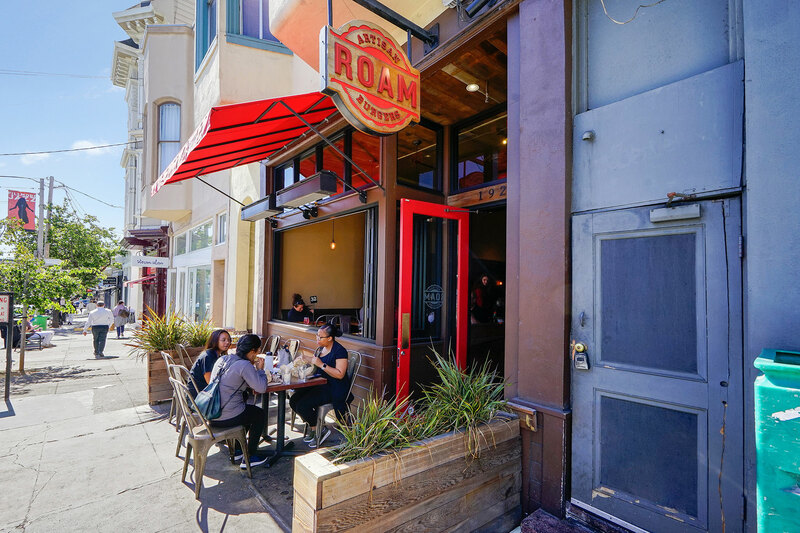 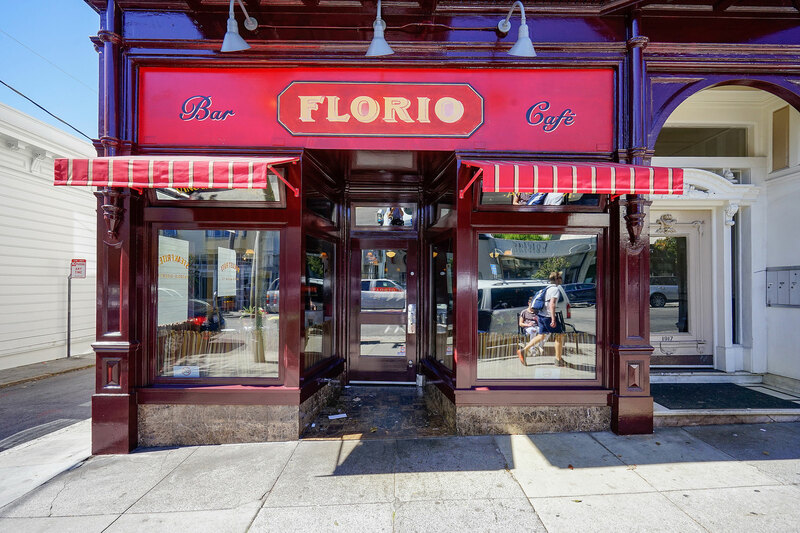 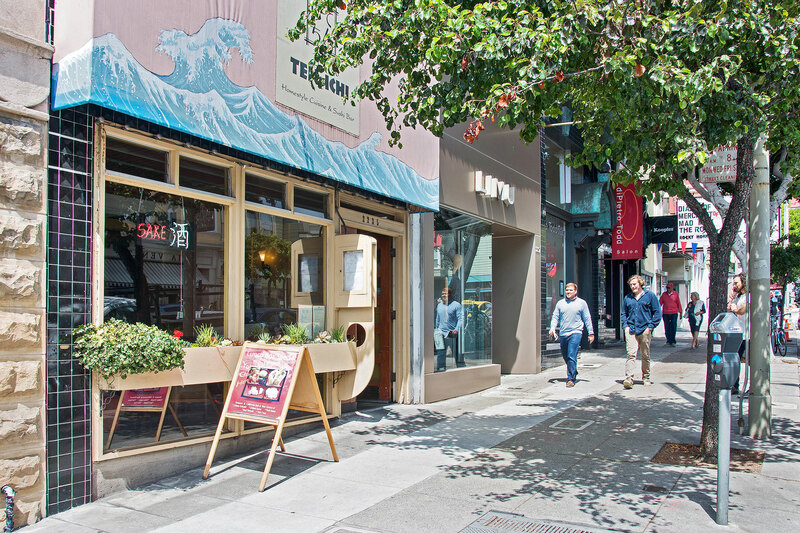 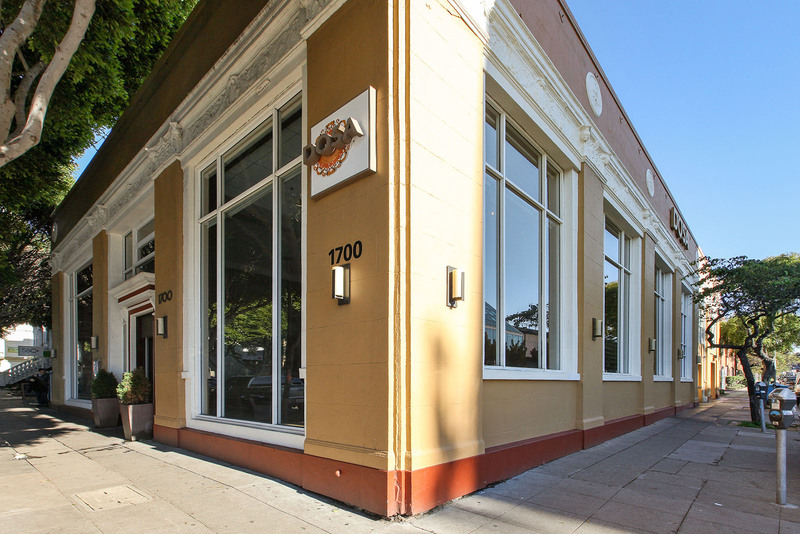 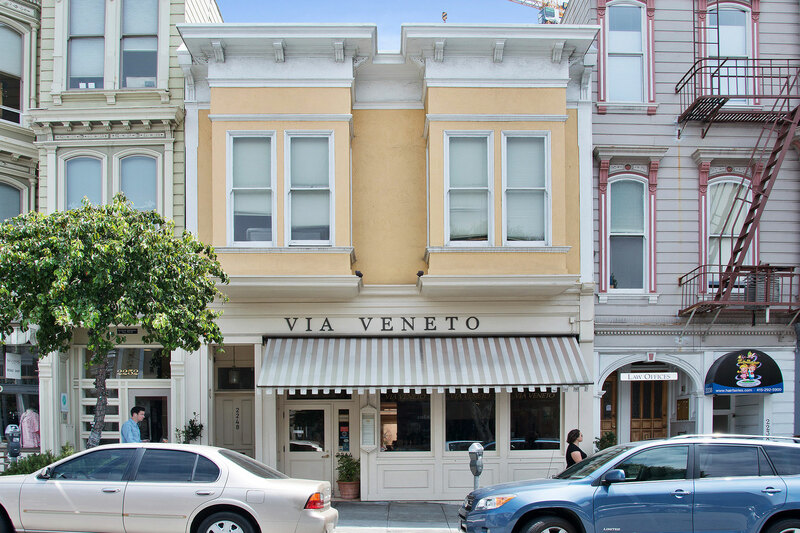 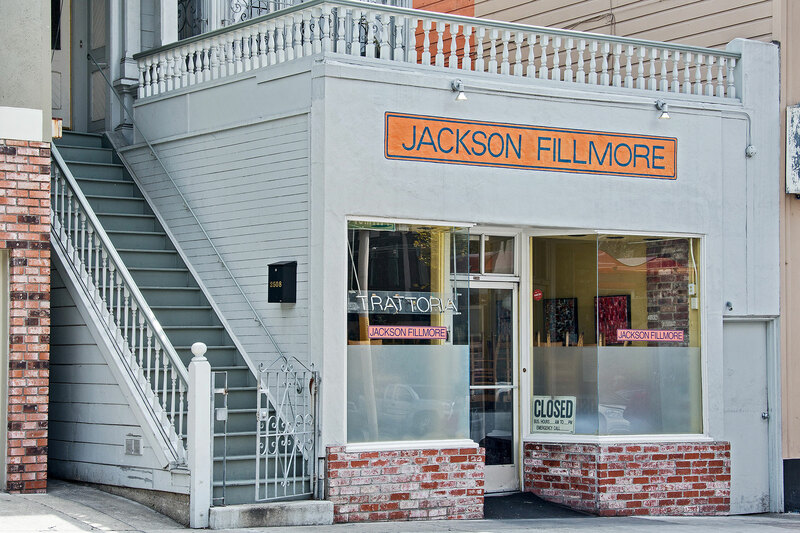 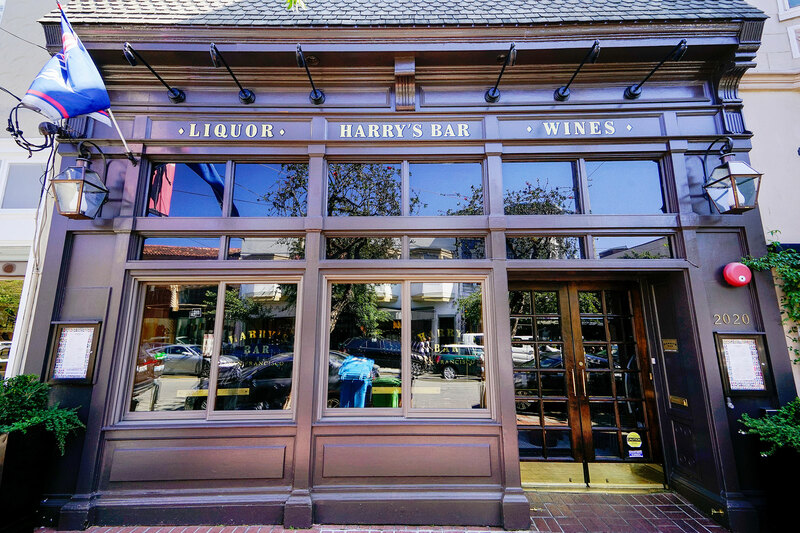 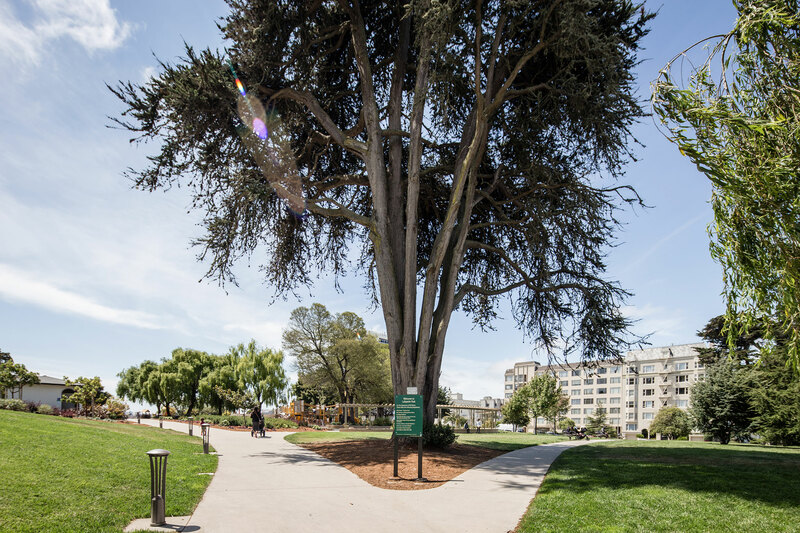 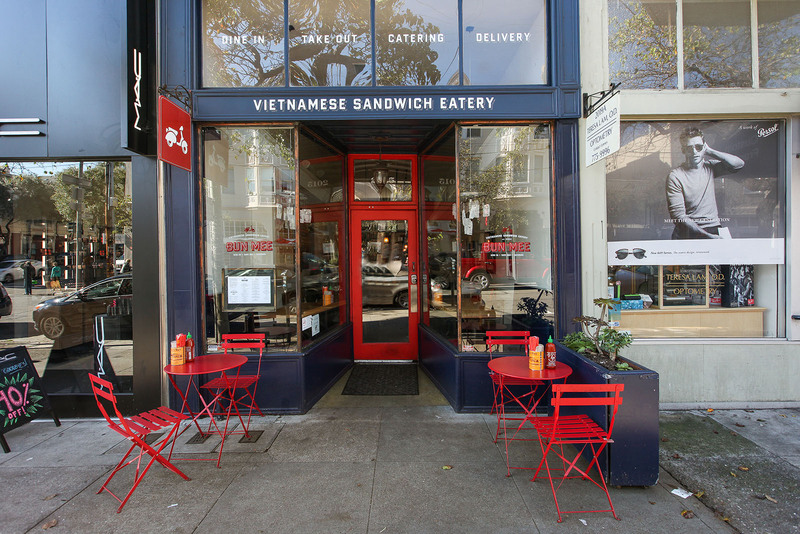 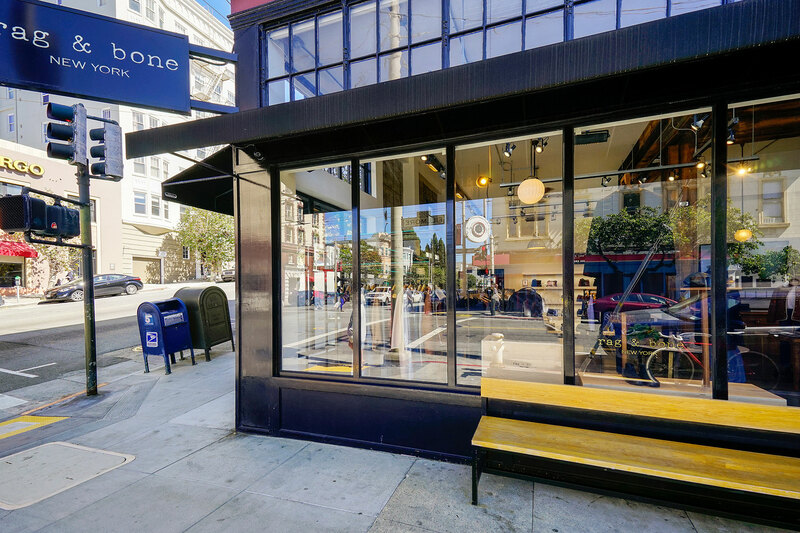 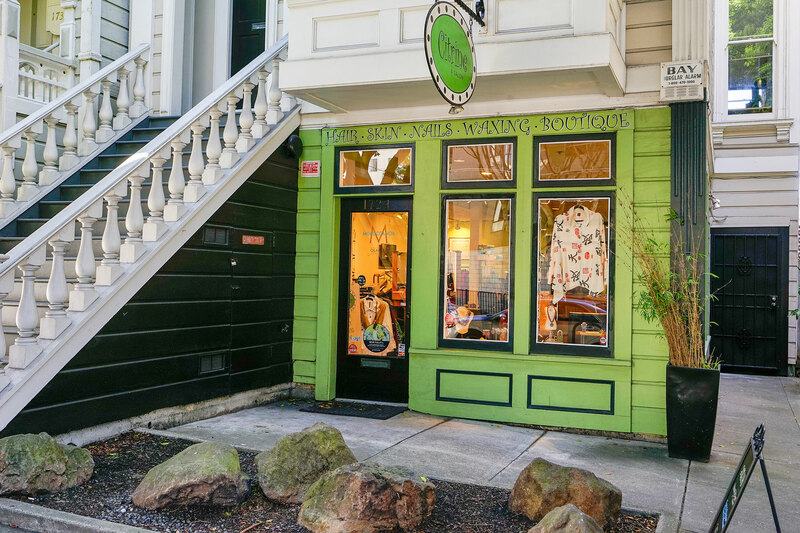 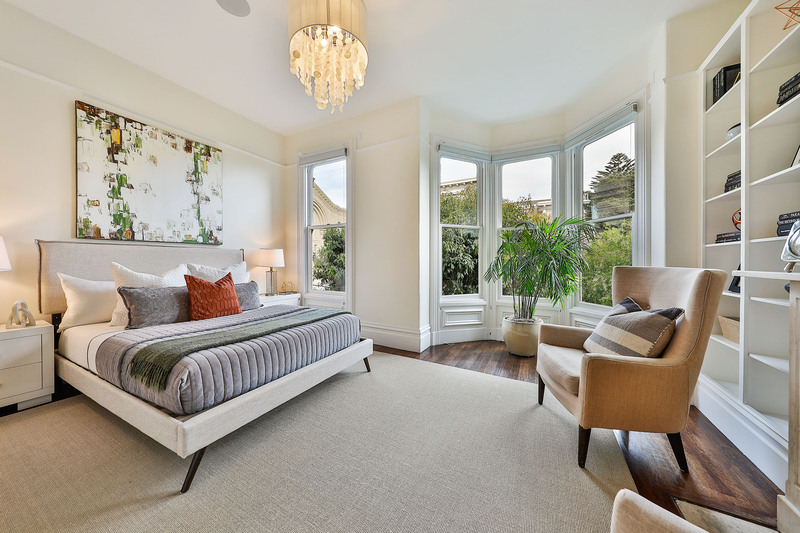 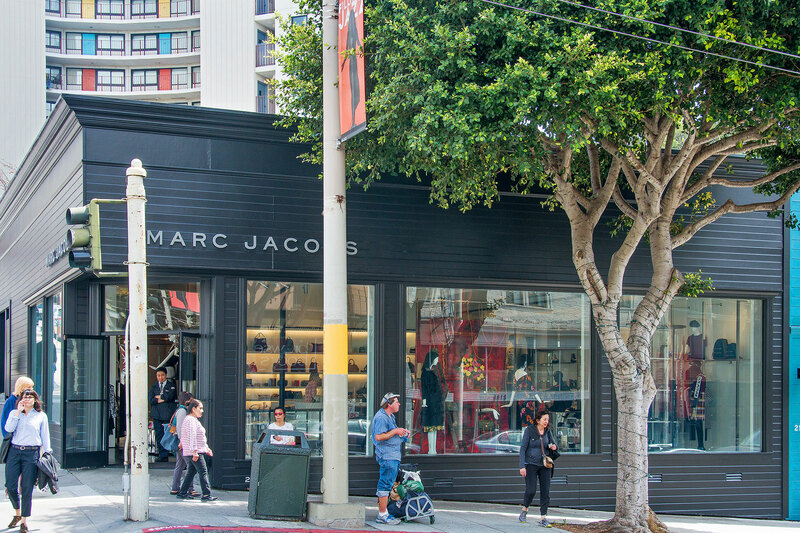 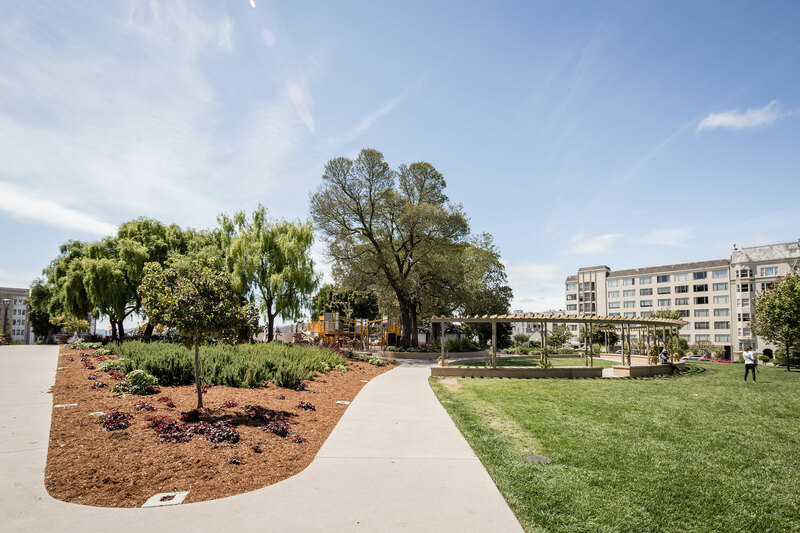 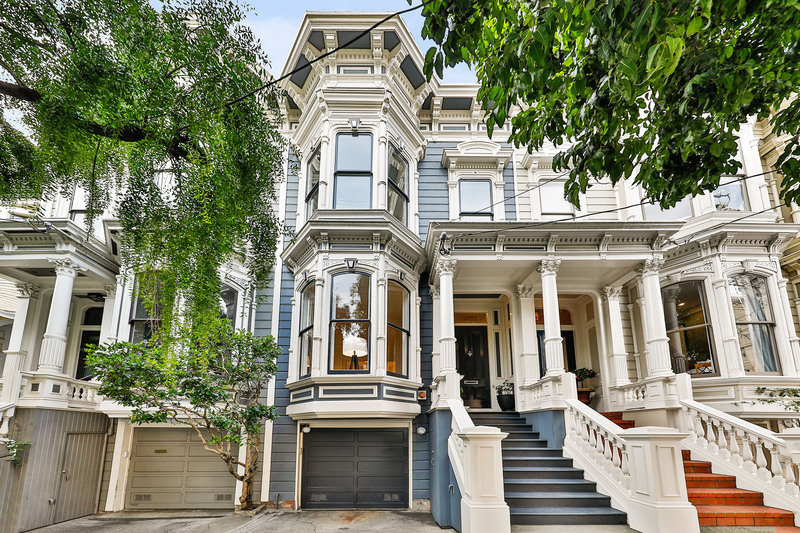 Conveniently located one block east of thriving Fillmore Street, you will walk to popular restaurants, chic boutiques, movie theaters, Alta Plaza and Lafayette parks, and to some of San Francisco’s best schools. 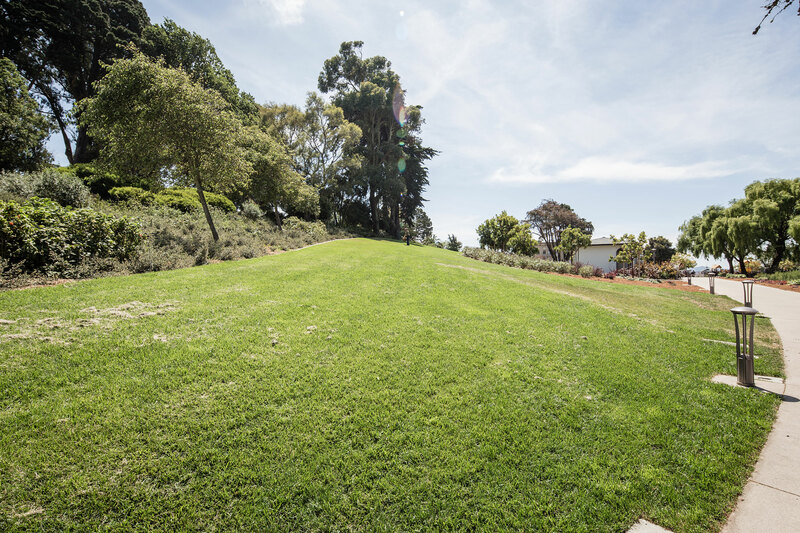 With a Walk Score of 98 you are in a Walker’s Paradise.